We came in tenth of the list of the top fifty – and are very proud since more than 20.000 applications were sent in for the total of all 163 contests. The ranking list was drawn up by means of different elements. 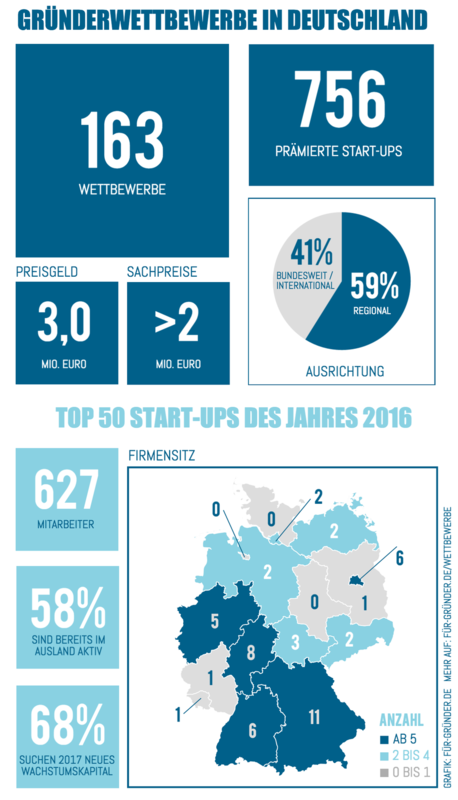 What is more the report of the TOP 50 startups 2016 shows interesting facts about the competition landscape in Germany and gives rules of action to find just the right contest in which you can partake. Here are some details about the analysis that we found most fascinating. 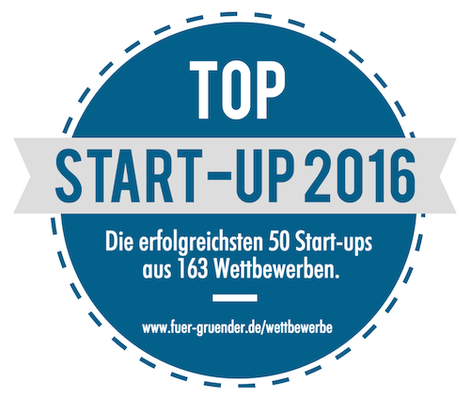 If you want to know more about the TOP 50 startups you can visit www.fuer-gruender.de.